Are you looking for qualified merchants who need cash now? Use our direct mail marketing programs and have merchant calling you within 7 days! With our qualified merchant cash advance direct mail marketing program, we connect you with merchants who are interested in obtaining funding for their business. We’ve sold business loan leadsfor more than 12 years across various industries, which include Merchant Cash Advance industry, ACH Funding, Equipment Leasing and Financing, and Factoring and Receivable Financing. 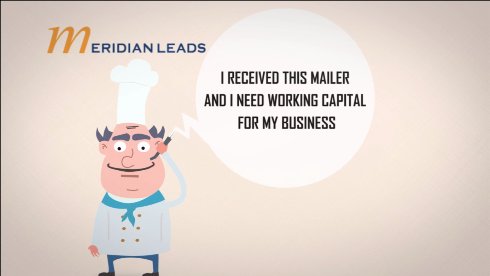 Our Direct Mail leads are targeted using effective mail pieces that we send to small to mid-sized business owners every month. With our qualified merchant cash advance mailing list, we connect you with merchants who are interested in obtaining funding for their business. By leveraging our direct mail marketing program, you can directly reach merchants who are genuinely interested in obtaining merchant cash advance for their businesses. This unique program helps generate exclusive inbound calls from business owners inquiring about a merchant cash advance or working capital they need for their businesses. We specialize at rendering services that help you not only achieve exclusive inbound leads, but also real time tracking. With access to real time tracking and reporting, you will be better able to gauge the success of each campaign to assess your ROI. So if you are looking to do some direct mail why not try a tested and proven direct mail marketing program like the one that has been used by funders and ISO’s for over 5 years? Please contact us at the form on the right so we can help you. Still not convinced? Place your direct mail marketing order now, and we will give you 250 FREE recently filed UCC records! These records are great for outbound telemarketing! Sign up to speak to a lead specialist! ©2018 MerchantFinancingLeads.com All Rights Reserved.